The preliminary data from the Public Library Annual Report is now available on LRS.org. 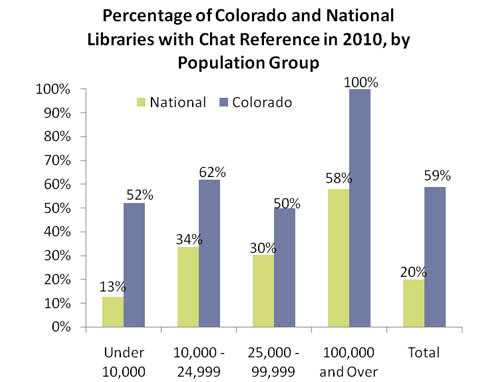 See Colorado Public Library Statistics and Profiles at: http://www.lrs.org/pub_stats.php. For access to Colorado Public Library Interactive Statistics (LRS-i), use the new interface at: http://www.lrs.org/public/stats.php?year=2010. For Input-Output Measures, see: http://www.lrs.org/public/cannedstats.php?year=2010. Over the next 4 weeks I will be conducting second-round edit checks before sending the data to Census for processing and more edit checks. If you have corrections or changes to your library’s data, just drop me an email or give me a call and we can make any necessary modifications. Note, this year we used the 2010 Census data, as reported by the State Demography Office, for the legal service area (LSA) population figures. Compared with non-census years, some library jurisdictions will see a greater change in their LSA population in census years. Typically, we see population count corrections in census years because in the intervening years between the censuses, population counts are estimated. Preliminary data from the 2010 Public Library Annual Report (PLAR) is now available in an Excel spreadsheet and ready for your review. There is still time for revisions, so please let me know if you have any changes to your library’s data. A more current version of the data will be available on LRS-i the last week in April. Please note, this preliminary data does not include complete data for libraries that had not submitted reports prior to March 23, 2011. In addition, the data is not verified (i.e., it has not been through all phases of edit checks). 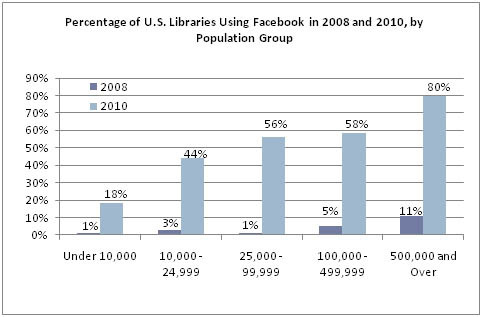 “Library trends of the past year are detailed in the State of America’s Libraries, 2011, released during National Library Week, April 10-16, 2011, by the American Library Association. Even as budget-cutters take aim at libraries and their services, more than two-thirds of the 1,000-plus adults contacted in a survey in January said that the library’s assistance in starting a business or finding a job was important to them, according to the poll, conducted for the American Library Association (ALA) by Harris Interactive. LRS is excited to announce the release of our most recent Closer Look report, “The Impact of the Recession on Public Library Use in Colorado.” We examined Colorado public library use prior to and after the recession’s onset. 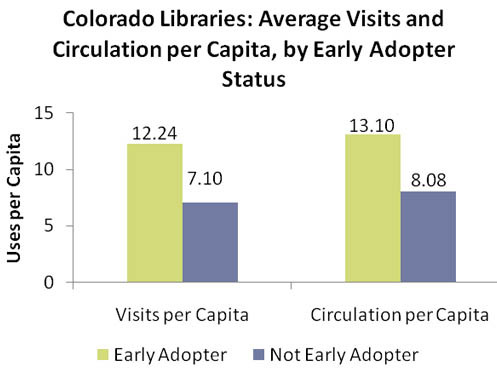 Our findings indicated that from 2006 to 2007 (prior to the recession), visits per capita, circulation per capita, program attendance per 1,000 served, and Internet computer use per capita remained relatively static or decreased in Colorado public libraries. In contrast, visits, circulation, and program attendance all increased during the recession (from 2007 to 2009) by at least 11 percent for libraries serving large communities (populations of 25,000 or more). Higher use during this period was also seen in resort communities. Visits, circulation, program attendance, and Internet computer use all increased by between 6 percent and 28 percent in public libraries serving these communities. Libraries serving small communities (populations under 25,000) were not included in the study because of missing and anomalous data. Public libraries have been a key resource for Coloradans during both the recession and the post-recession recovery period, providing community gathering space, access to entertainment and educational resources, and information about job hunting, economizing, and other topics that are particularly relevant during this time. The Public Library Funding & Technology Access Survey has released state level data and you can find the Colorado report at: http://www.plinternetsurvey.org/?q=node/32&&id=CO&&u. In addition, there are state briefs on E-Government and Employment in public libraries. Based on data collected by the Colorado Department of Education, the state’s school librarian/media consultants and assistants have seen notable increases in their salaries in the last five years. For the librarians, that increase has kept them in the ballpark with national salary averages for school librarians, but Colorado school library assistants continue to earn much less than the national average. Read more in the latest Fast Facts—Colorado School Library/Media Center Salaries: Mixed News. The 2010 Academic Libraries Survey (ALS) deadline has been extended until March 18, 2011. The quality of this national survey depends on your library’s participation. Please find the on-line questionnaire at http://surveys.nces.ed.gov/libraries/als. If you need your library’s user id and password, please contact the ALS Help Desk at 1-877-749-4925. The U.S. Congress and your state government use data from this survey when considering policy changes concerning academic libraries. To produce valid results, the survey must obtain at least an 85 percent response rate – your survey counts! The data from the ALS are used to produce on-line reports and supplemental tables for the National Center for Education Statistics at the U.S. Department of Education. The Library Statistics Program web site at http://nces.ed.gov/surveys/libraries/ offers many resources for libraries, including the Compare Academic Libraries tool, which is an easy way to compare your library to other, similar libraries. The peer comparison tool is only available for libraries that respond to the survey. Thank you for your cooperation and support of this national academic library survey. If you have any questions about the survey, please contact survey administrators at govs.aclib@census.gov.